Diljit Dosanjh's sports drama Soorma, which released last Friday, has earned Rs 13.85 crore so far, trade analyst Taran Adarsh reports. Over the weekend, the film made over Rs 10 crore and on Day 3, it added Rs 5.60 crore to the total earnings. Sunday's collection has been the highest, as compared to Friday (Rs 3.20 crore) and Saturday (Rs 5.05 crore). "Soorma has decent weekend. Considering the low start on Friday morning, the business did escalate over the weekend, but the jump on Sunday wasn't substantial enough. Maintaining the pace on weekdays is important. Friday 3.20 crore, Saturday 5.05 crore, Sunday 5.60 crore. Total: Rs 13.85 crore," Taran Adarsh tweeted. Here's Soorma's box office report. #Soorma has decent weekend... Considering the low start on Fri morning, the biz did escalate over the weekend, but the jump on Sun wasn't substantial enough... Maintaining the pace on weekdays is important... Fri 3.20 cr, Sat 5.05 cr, Sun 5.60 cr. Total: 13.85 cr. India biz. Soorma's business appears to be affected by Ranbir Kapoor's blockbuster Sanjui, which released before Diljit Dosanjh's film. Sanju crossed Rs 300 crore-mark on Saturday and the film's current total now stands at Rs 316.64 crore. Meanwhile, Hollywood film Ant-Man And The Wasp, which released with Soorma has earned over Rs 19 crore. In his review for NDTV, film critic Saibal Chatterjee gave Soorma 2 stars out of 5. "Soorma is more drag than flick, a hockey film sans genuine impetus. It is nowhere near the league of Chak De! India despite telling a story that is no less intense than a wrongly victimized coach's struggle for redemption. Come to think of it, the Shimit Amin film was made over a decade ago," he wrote. 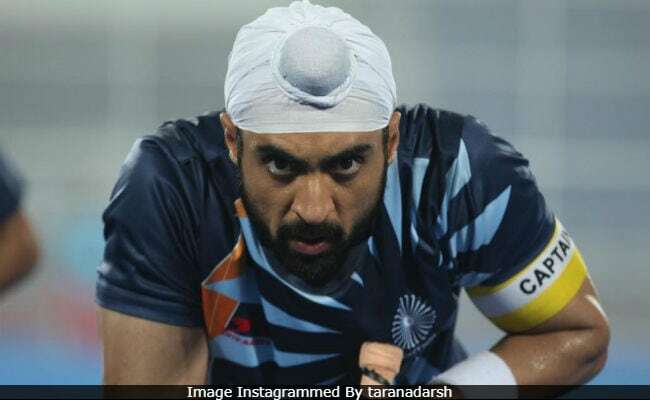 Soorma is a biopic on hockey player Sandeep Singh. The Shaad Ali-directed film also stars Taapsee Pannu and Angad Bedi.